It’s National Poetry Day — Here’s My Poetry Roundup! Questions Writers Get Asked: Why Do You Write? What Keeps You Going? Questions Writers Get Asked: What Is The Best — And Worst — Part Of Being A Writer? It’s Really “Not” That Long Now — So How About A Character Refresher? Checkout The Backcover ‘Blurb’ for the US Cover of “Daughter Of Blood”! There Really is Something…Very Exciting About A New Cover! 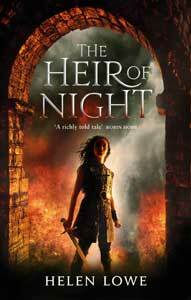 Revealed At Last: The US Cover For Daughter Of Blood, The Wall Of Night Book Three!